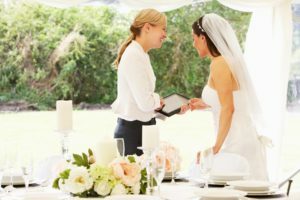 Wrong!While not every bride will choose to hire the services of a wedding planner, there are lots of reasons why they should at least consider it. There is a misconceived idea wedding planners will take over your special day, make all the decisions for you and stipulate what you should and shouldn’t spend your money on. This is simply not true. A wedding planner is there to help you achieve your dreams for your day. Note, I said, your day. Planners generally love all things wedding and all they want to do is help you achieve the wedding you’ve pictured. They work with you, talking through your ideas and offering suggestions, but the end decisions always rest with you as a couple. If your dream is to make lots of DIY decorations your planner can help you source materials and make them, or just leave it all down to you, the choice really is yours. While obviously wedding planners aren’t free, often they can save you money. With their experience and network of contacts they can help you think outside of the box in terms of venues and suppliers, sometimes identifying something totally new or unexpected. These contacts also mean they can negotiate discounts on your behalf – which are always passed on to you. A good wedding planner does not take commission from any suppliers, instead they are only interested in securing the best deal for their client – you! Many brides find the cost involved in hiring a planner is usually offset by the savings made. You will have met your planner at the very least a few weeks (usually months) before your wedding. They will take the time to get to know you as a couple, your personalities and understand what you want from your day. If you want your planner can be a key part of the day, for example acting as your Master of Ceremonies to welcome you as a couple into your wedding reception. Equally a planner will be just as happy to be discreet so that only you know they are there ensuring that any problems are resolved quickly and quietly and liaising with suppliers so you can both enjoy your day. Unlike a wedding venue coordinator, a wedding planner’s sole focus is you and your wedding. While that’s not to say coordinators do a bad job, they can sometimes be pulled in different directions. What if there is another wedding or event at the venue on that day, will they be available when you need them? Will they be working on the day of your wedding or will you be passed on to the day manager whom you’ve never met? Your wedding planner is only there for you and has worked with you in the run up to your wedding so they know exactly what you want. They are there only to ensure your day is just how you envisioned. 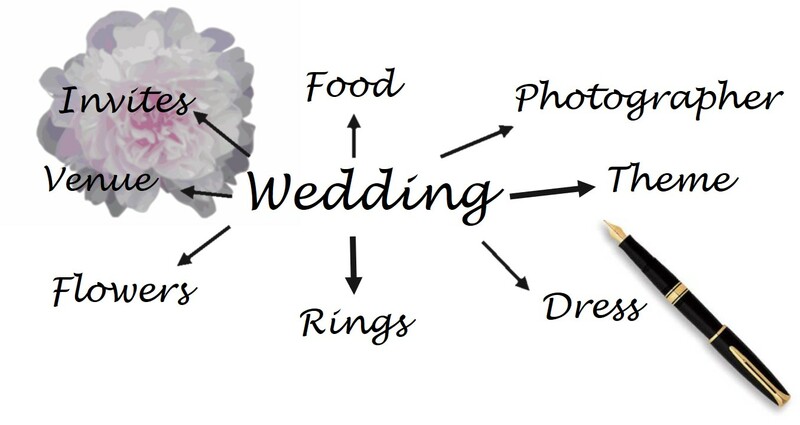 OK, so what else can a wedding planner help me with…..
1. Don’t call the bride! Uncle Jimmy is calling to say he’s lost on the way to the church, the buttonholes haven’t turned up, the DJ is sick, the guests who said they weren’t coming have just turned up. You don’t want to have to deal with any problems on your day. You can nominate someone in the bridal party to troubleshoot, but equally you gave them their role as they are someone special to you, so don’t you want them to enjoy the day too? A planner is there to solve problems like these, and more, often without the happy couple even being any the wiser. 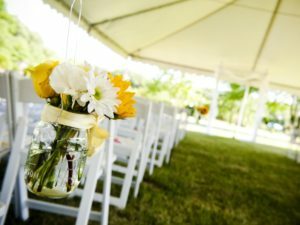 The cost of a wedding can vary astronomically from just a few hundred pounds to hundreds of thousands. With the average cost of a wedding standing at £24,000 in 2017, that’s a significant investment for most people. Money is one of the hardest things to manage when planning a wedding. A planner can help you set your budget, give you rough ideas of what things will cost and help you identify what will be most important to achieve the wedding you want. 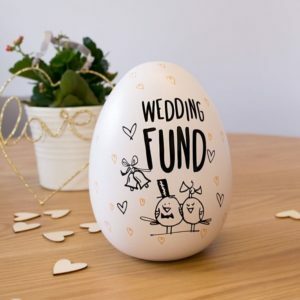 Most people only plan a wedding once, a planner will have experience of lots of weddings so can tell you if something costs too much or won’t be good value for your money. They can help you prioritise and manage when payments are due. You know you want a DJ, cake, flowers but who do you hire? The choices can be vast and while everyone knows someone, who knows someone, how do you know who to trust and that they’ll provide what you’re looking for? A planner has a wealth of contacts and can guide you to the right supplier for you, taking into account your tastes and your budget. Your mother has found the perfect venue, she still has her wedding dress in the loft, oh and she insists you invite Uncle Jimmy’s second cousin twice removed. Managing friends and family and their expectations for a wedding can be tricky. While you want to keep everyone happy, it can then be difficult to still keep the day you want. A planner can help manage those expectations, show you and your families what you can achieve and offer you informed advice. Getting married locally to where you live can be tricky enough, but when you don’t even live in the area, that can be a whole new ball game! It can be hard to track down suppliers or envision how a space will work if you’ve never seen it. A planner can take that stress by doing all of the hard work for you. At the end of the day, whether you hire a planner or organise everything yourselves, a wedding takes a lot of time and planning – around 250-300 hours! Of course, it can be a lot of fun, a planner wouldn’t do it if they didn’t love the job! But, it can also be stressful and all consuming. Hiring a planner means you get your day, your way and enjoy all of the fun stuff while someone else can do all the hard work. Get in touch to find out how Wild Wedding Company could help you with your wedding.